Over the past twelve months, you may have noticed that home values have risen dramatically. In fact, according to CoreLogic’s most recent Home Price Index Report, home prices have taken a 6.7% leap year-over-year. Idaho, Nevada, Utah, and Washington are among the Western States that experienced an even larger increase of 11%. California is expected to see a rise of 10.3%. An analysis of the country’s top 100 largest metros based on housing stock shows that 34% are now considered overvalued as of February, CoreLogic reported. When just about anything goes up in price, there will be speculators on the “why.” Data does not support most of these theories (such as the idea that lending standards have become “too lenient” or prices are approaching boom peaks because of “irrational exuberance”). Those who either witnessed the financial crisis of 2008 or those who have studied and understand it, are overly wary of the next crash. This is completely understandable! However, it is not a house price bubble that we are experiencing. What we are seeing now can easily be explained by the theory of supply and demand. We are witnessing price appreciation due to an imbalance between housing supply and housing demand. There is nothing wicked or sly happening beneath the surface. It, quite frankly, is what it is. If buyer demand continues to outpace the current supply of existing homes for sale, prices will surely appreciate. In real estate, it takes a six-month supply of existing salable inventory to maintain pricing stability. 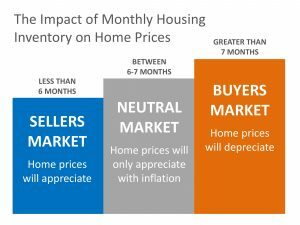 In most housing markets, anything less than six months will cause home values to rise, while anything over even months will experience depreciation. 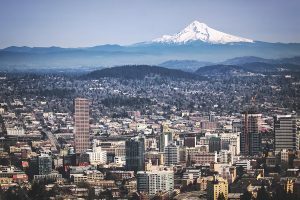 The greater Portland area has an average of just two to three months of inventory; meaning our neighborhood is experiencing some serious appreciation! Oftentimes buyers “buy” into the idea that high-priced markets will continue, but past data shows that overvalued markets tend to have a slowdown in price growth,” says President and CEO of CoreLogic, Frank Martell.